Good organisation is crucial in any vegetable plot, as well as a great memory if haven’t enough labels to hand when you first plant out your vegetables. Planting the same crop in the same place year after year can have disastrous consequences so crop rotation is really important. It was invented by farmers to control pests and diseases before the days of pesticides, is a good way to maintain good soil hygiene and keep the soil more evenly balanced, with addition of lots of organic matter which it is needed of course. Five beds are ideal as this will help you to practise crop rotation. Vegetables are grouped and here are the reasons why – some vegetables, for example, potatoes suffer from a huge range of pests, by rotating your crops you can stop the spread of pests and diseases as a pest that attacks potatoes will not attack your Brussels sprouts. Potatoes produce a huge amount of foliage and as a consequence are great weed suppresses – onions, on the other hand, grow straight up and have very little foliage – for this reason it is important to hoe them, regularly, to keep weeds at bay. 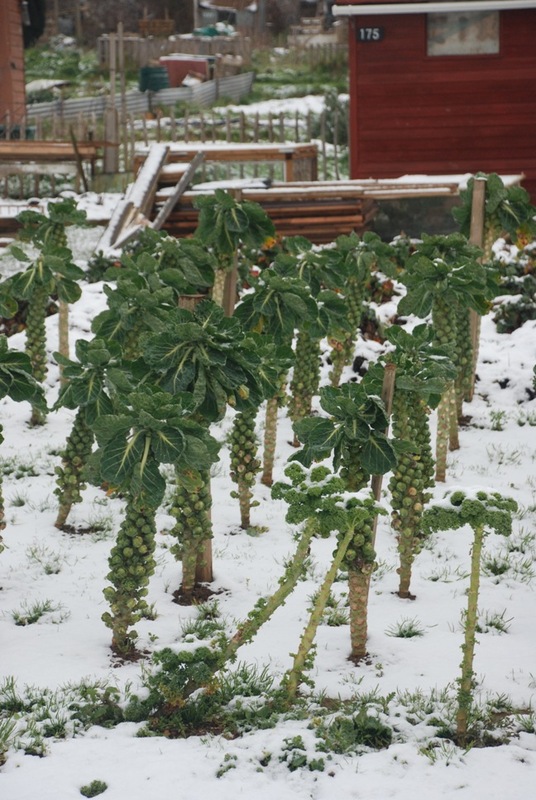 Some plants, such as brassicas, (that’s your cauliflower, broccoli, Brussels sprouts, cabbages, swedes and turnips etc.) need nitrogen to produce the green leafy growth – the bits that we eat, and legumes, (peas and beans), have the ability to fix nitrogen from the air, via the nodules on their roots, into the soil. Because of this is it is a good idea to follow your peas and beans with your leafy vegetables, cabbages, broccoli etc. Root crops on the other hand do not need a lot of nitrogen – it is the root that we eat, not the leafy tops and so after the brassicas the roots are a good group to follow on with. So, so far we have brassicas, roots, and legumes. In other words a bed for each of these groups is needed. 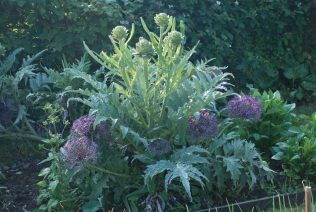 Then there are the permanent vegetables, these are perennial plants, the types that come up year after year. 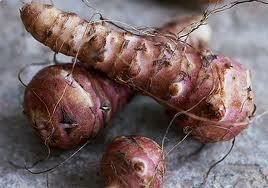 Both Jerusalem and globe artichokes, rhubarb and asparagus. It is best to grow potatoes in a bed on their own as they suffer from several pests, in particular blight so try and give these there own bed and rotate them every year. So that gives you 5 main beds. There are many other vegetables such as spinach, corn and squashes that can be rotated to but they tend not to have as many pests and diseases as the once listed above.